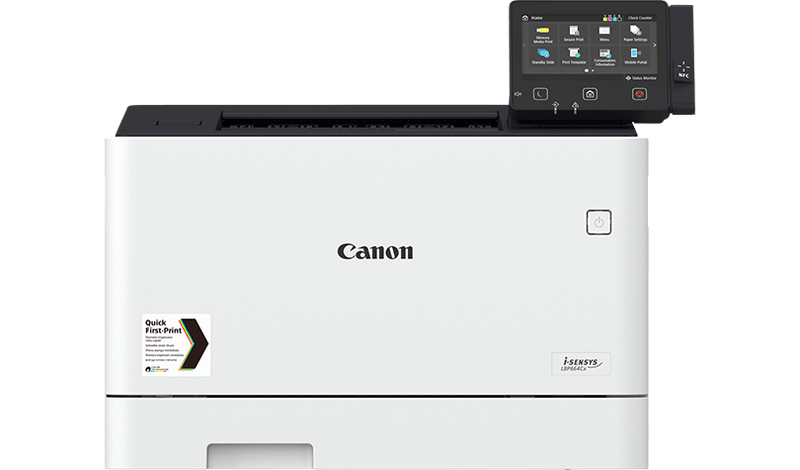 Canon’s i-SENSYS LBP660 Series printers may be housed in compact frames, but they are packed with advanced features and capable of print speeds of 27ppm (A4 single-sided), Application Library and Universal Login Manager to help boost productivity, security, and cost management (LBP664Cx). Optimised for small offices the LBP663Cdw is an ultra-fast, highly accurate single-function colour laser printer housed in a compact unit. Increase office productivity with automatic double-sided printing. Optimised for small offices, the LBP664Cx is an ultra-fast, highly accurate, feature-packed single-function colour laser printer with advanced features like Universal Login Manager and Application Library. The LBP663Cdw is an ultra-fast, highly accurate, single-function colour laser printer with features designed to enhance workflow in small and medium offices. Optimised for small offices, the LBP664Cx is an ultra-fast, highly accurate, feature-packed colour laser printer with innovative functions like Universal Login Manager to help boost security and cost management.